I have to admit that I did not cook this dinner! So I thought I would share this wonderful recipe he made for us. It is simple and delicious! I was delighted when Chuck said he was going to cook dinner as his Valentine’s Day present for me. I’m quite happy to step away from the kitchen and let someone else take over! This isn’t the first time he has made me dinner, but since I like to cook he doesn’t have to make dinner too often. Usually on special occasions like Valentine’s day, my birthday, or Mother’s Day he will pull a good meal together. So, today he chose to make Meatballs in Marinara Sauce in the crockpot. This came to creation based on the ingredients we had on hand. It is very cold and snowy here in the Northeast, so a good rib-sticking meal served with warm, buttered, crusty bread and red wine was a meal we both were craving! Starting early in the afternoon so this would have time to simmer in the crockpot, he began with making the meatballs. He mixed almost 3 lbs of hamburger with a pack of onion soup mix, 2 eggs, water, panko bread crumbs, oregano, and lots of fresh shredded parmesan cheese. 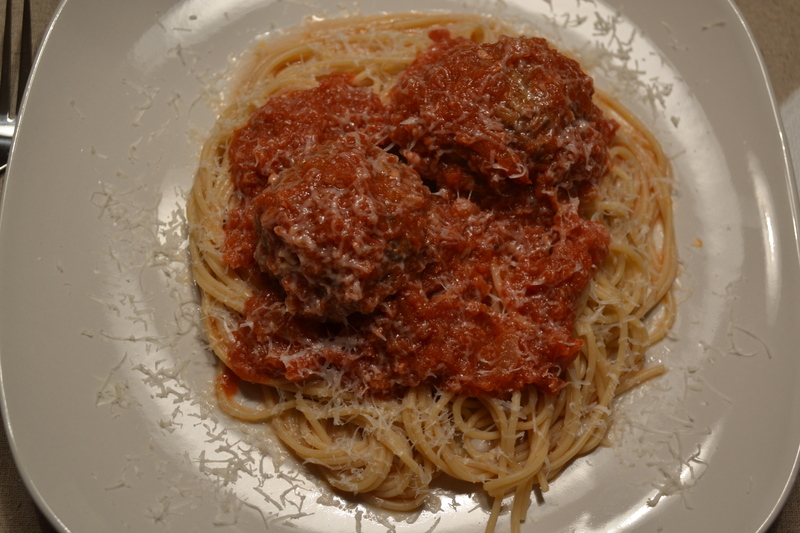 He mixed everything together and formed them into about 3″ meatballs. He baked them in the oven for about 40 minutes. Baking makes them cook evenly and eliminates the mess of cooking them on the stovetop. They get nicely brown this way. No turning is necessary. 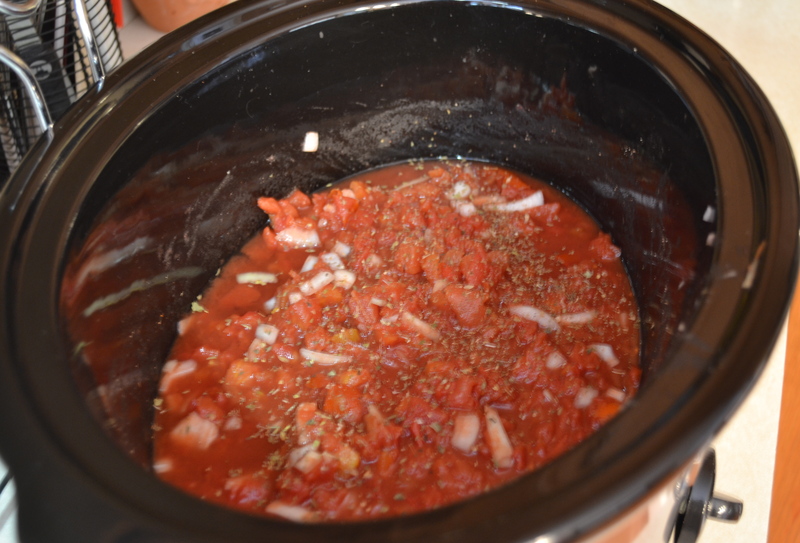 Next he added the tomatoes, onion, garlic, oregano, and a little bit of red wine to the crockpot. 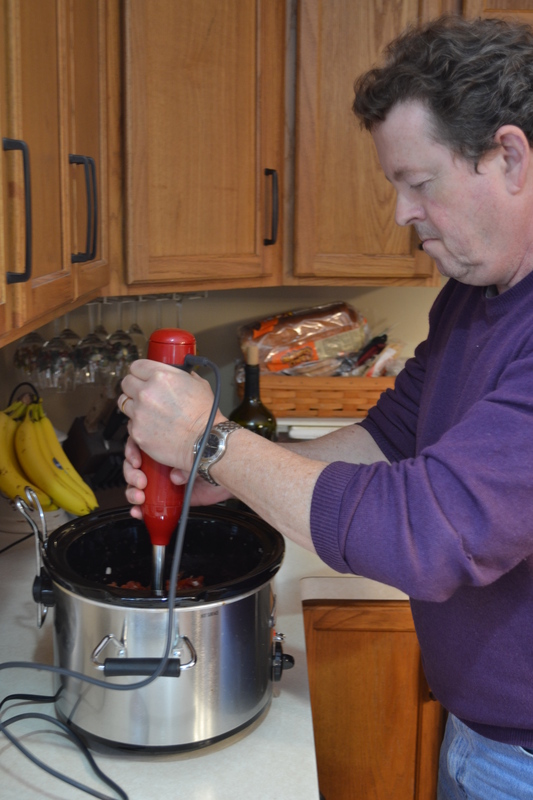 Because the tomatoes were diced and the onion was chunky, he wanted a smoother sauce, so it was time to use a real kitchen tool – the immersion blender! Guys love to use tools! Even when they are cooking! Using the immersion blender smooths out the sauce to a nice consistency. 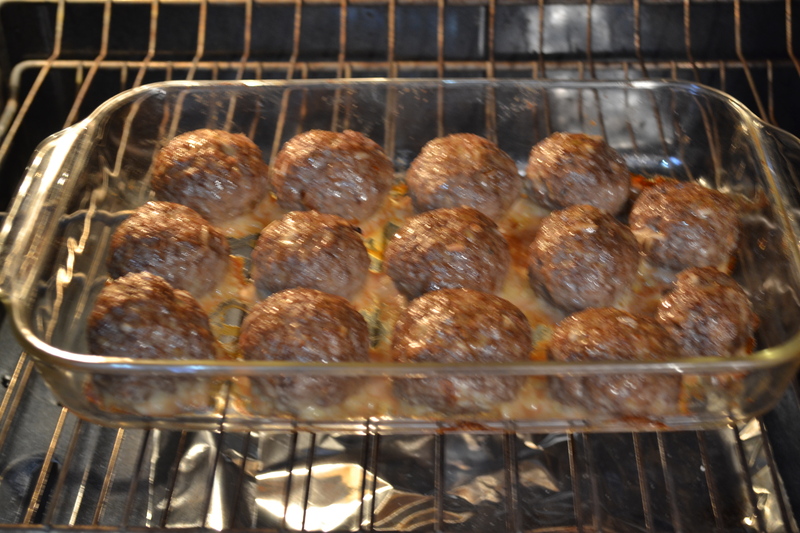 Then it was time to add the meatballs. In they go, and now we wait while all the flavors blend together over the next few hours. 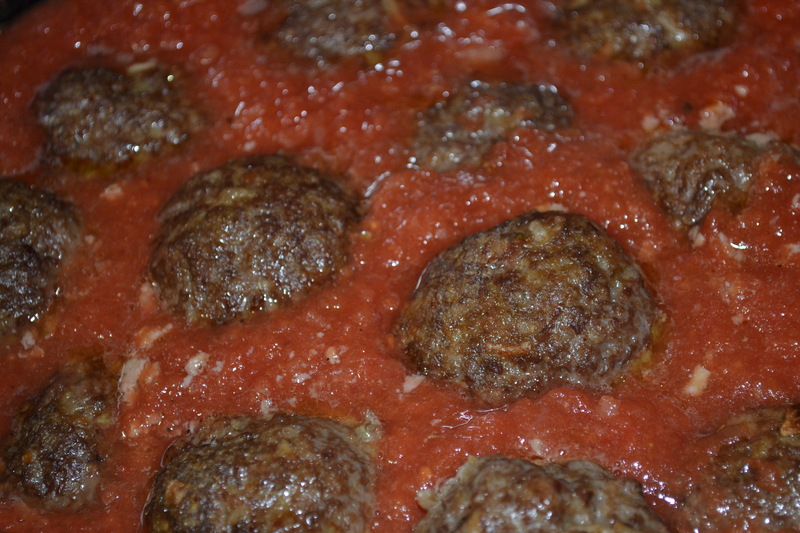 The smell of these simmering meatballs in this garlicky tomato sauce is heavenly!! You just want to dunk a big chunk of crusty bread right into the sauce! As we love one another these are good virtues to strive towards. Although they are not always easy to follow all the time, we know that God’s grace and mercy will always be there for us when we fail. And God’s word is always there to show us how to love – Jesus tells us how throughout all the Gospels and it is also written throughout Paul’s, letters. When we remember to be patient and kind, put others before ourselves, say we are sorry, forgive and forget to mention a few, then we will have hope and protection of our loving God.-a love that surpasses all love! I hope you all had a blessed Valentine’s Day with the ones you love! This tasted amazing! 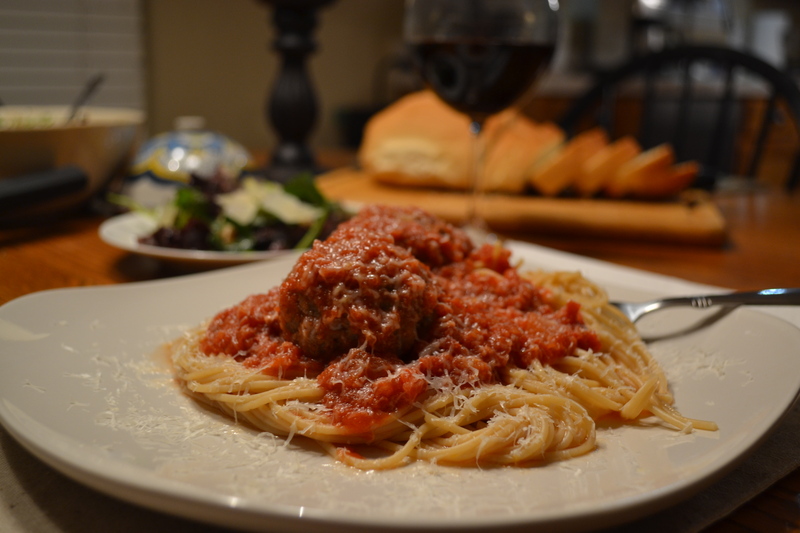 He served it on top of a bed of spaghetti with LOTS of fresh grated parmesan cheese! Served with a lovely salad and crusty bread, this was love on a plate! 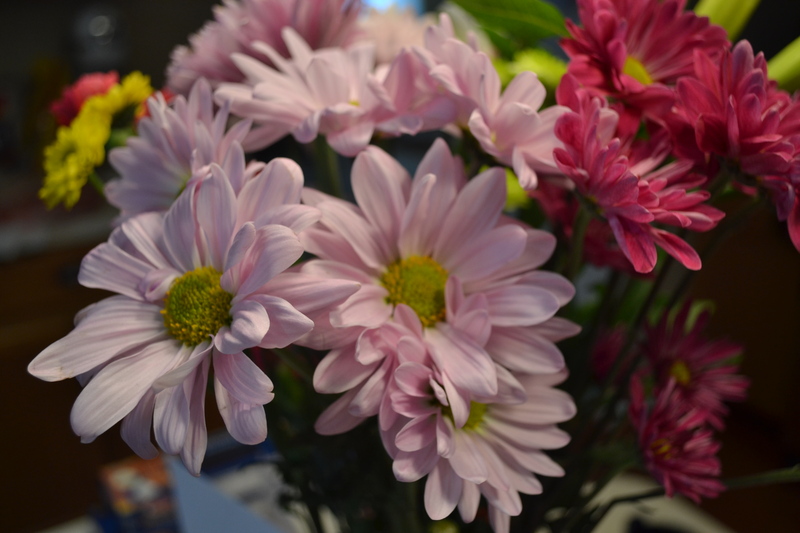 And to top it off, he got me flowers! I would say it was a very memorable Valentine’s Day and I’m very blessed to have such a thoughtful and loving husband! 3. Place in a shallow baking dish and bake for 30-40 minutes. 1. 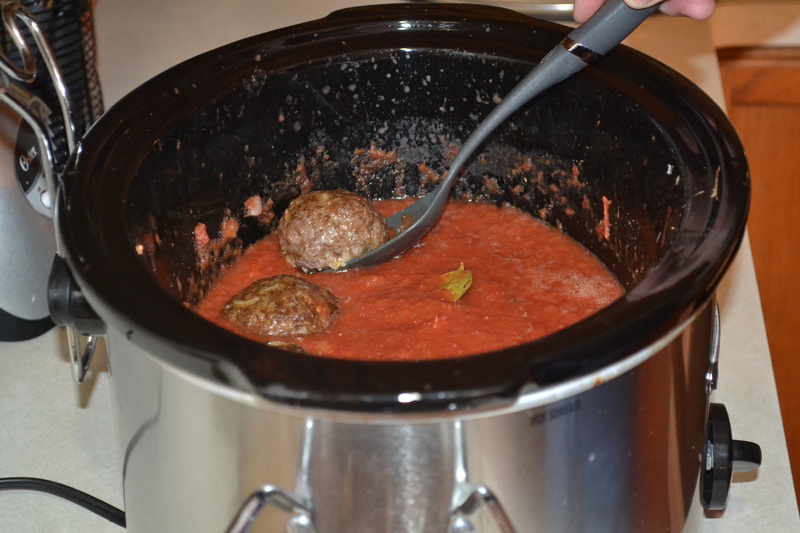 Mix all together and simmer in the crock pot for 5-6 hours on low with the meatballs. Remove bay leaf before serving. 2. Serve over your favorite pasta with a salad and bread! Enjoy! *Note – this sauce can also be made on top of the stove. Simmer on low for several hours. You can also used the crushed tomatoes and then eliminate the need to blend them smooth. Thanks Gloria! We have to keep celebrating our love for each other! Glad you had a nice celebration! Love to you! I’ll show this to your brother Jeff. Who knows what miracles God can work with Jeff. I know God has a sense of humor!